The Mount Pleasant High School chapter of HOSA: Future Health Professionals competed in the HOSA Area 3 Leadership Conference on February 1 and 2. The conference was held in Plano and hosted over 1800 students from 123 schools. Six Mount Pleasant High School students advanced to State. The team of Sashi Poudel and Tairelle Chong took first place in Health Education, qualifying them for state. In Outstanding HOSA Chapter, Alyssa Reynolds and Grace Whitten will represent MPHS at the State competition. And in Health Care Issues, Abby Mason and Paula Flores have advanced to state. 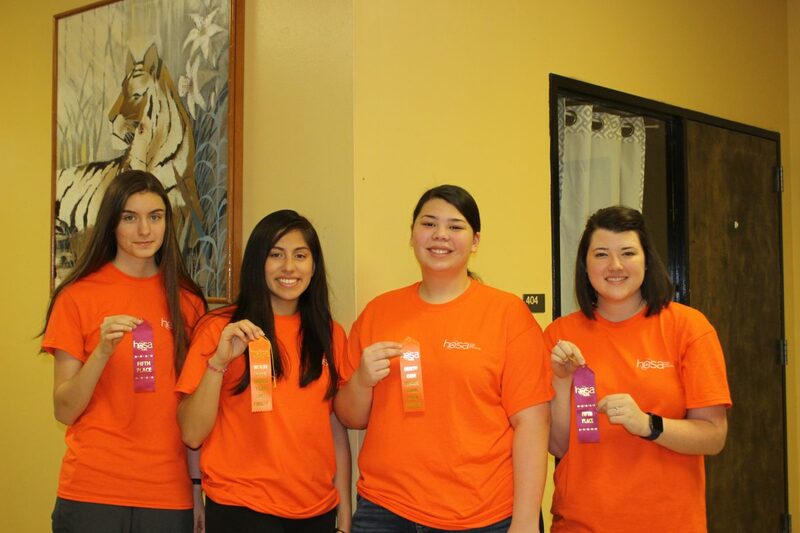 Students from MPHS who placed in their events include Savannah Finigan who earned fifth place in Home Health Aide and Alyssa Reynolds who placed fifth in Medical Law and Ethics. The HOSA State Conference is March 27 – 30 in San Antonio. MPHS HOSA advisors include Suzy Whitten, Kristi Houchin, Angie Ayers, and Shari Cabell. Previous articleDowntown parking || Is it a problem?